This page allows you to manage subnet pools. Subnet pools are used to group together CIDR blocks in order to be easier to use. 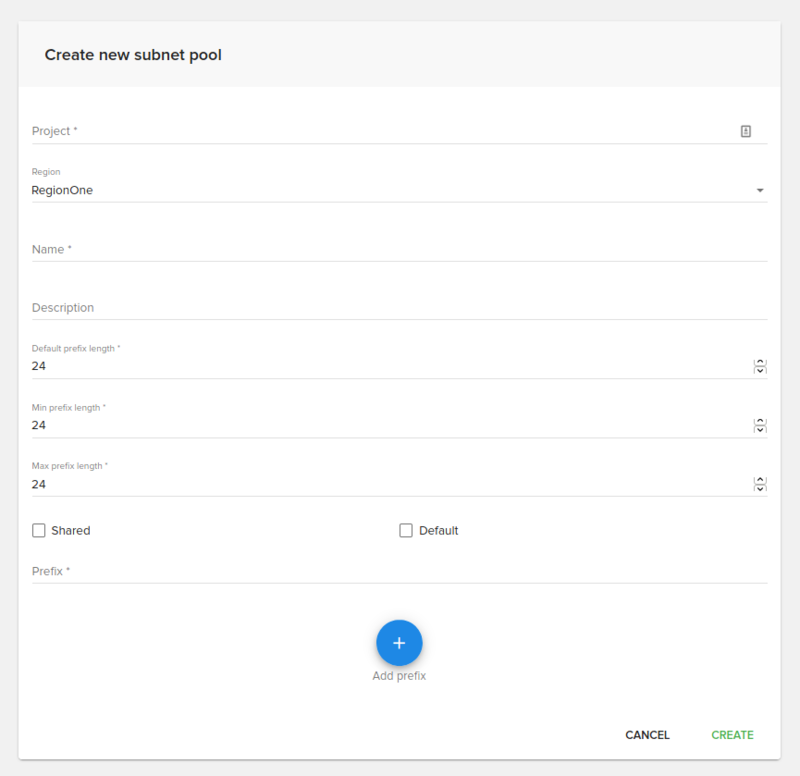 Once you fill up the required fields you can press Create subnet pool button to create the subnet pool. Existing subnet pools can be deleted by pressing the delete button on the right side of the subnet pool. The description from create form applies to fields on edit form also. 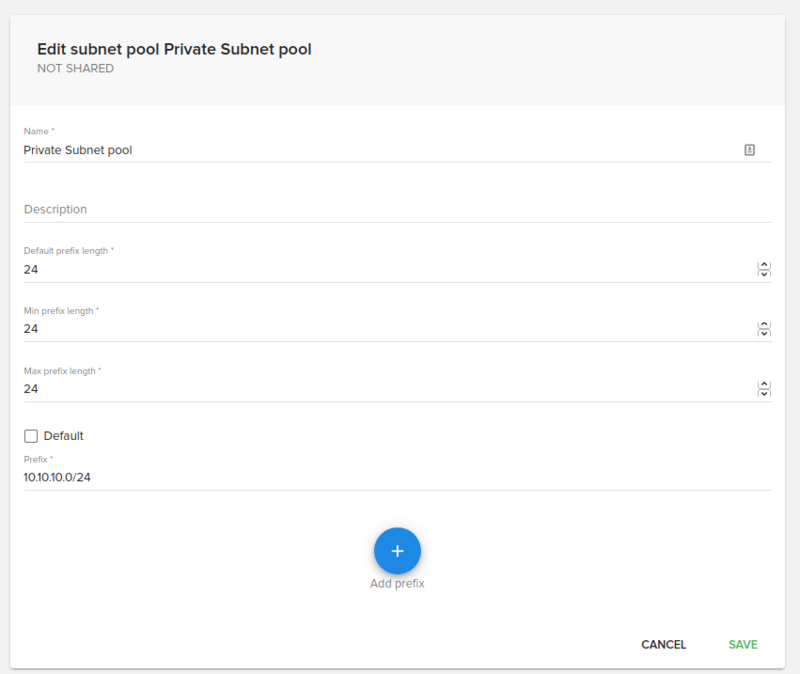 where you can view subnet pool details.